The ongoing discussions about globalization, American hegemony and September 11 and its aftermath have moved the debate about the export of American culture and cultural anti-Americanism to center stage of world politics. At such a time, it is crucial to understand the process of culture transfer and its effects on local societies and their attitudes toward the United States. This volume presents Germany as a case study of the impact of American culture throughout a period characterized by a totalitarian system, two unusually destructive wars, massive ethnic cleansing, and economic disaster. 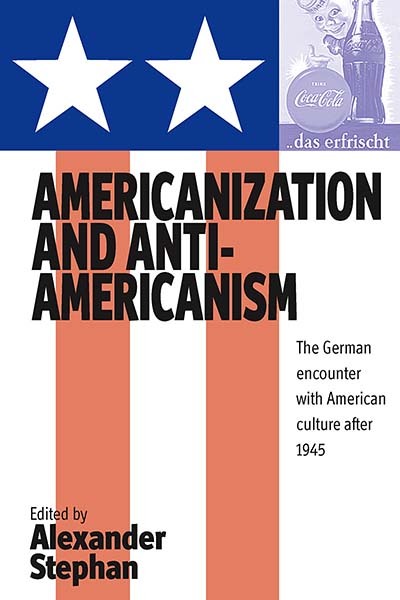 Drawing on examples from history, culture studies, film, radio, and the arts, the authors explore the political and cultural parameters of Americanization and anti-Americanism, as reflected in the reception and rejection of American popular culture and, more generally, in European-American relations in the "American Century." Alexander Stephan† was Professor of German, Ohio Eminent Scholar, and Senior Fellow of the Mershon Center for International Security Studies at Ohio State University, where he directed a project on American culture and anti-Americanism in Europe and the world. Chapter 7. Cinematic Americanization of the Holocaust in Germany: Whose Memory Is It?